Leading Manufacturer of pin mill and impex pulverizer from Ahmedabad. We are the manufacturer of Pin Mill that is used for grinding various materials to a finer mesh with utmost perfection. We are manufacturing, exporting and supplying of premium quality Impex Pulverizer. This is a screenless Pulverizer , for soft and medium fine materials . 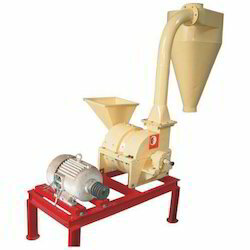 This machine finds application in Spices like turmeric and other medium hard materials. Other applications are Agro based industry, Dyes Pigments and allied Industry. This is a sturdy pulveriser and generally offered in MS and SS contact Parts. The Pulveriser works on the Screen-less principle and has a whizzer mechanism to separate the fines.